Burrr! 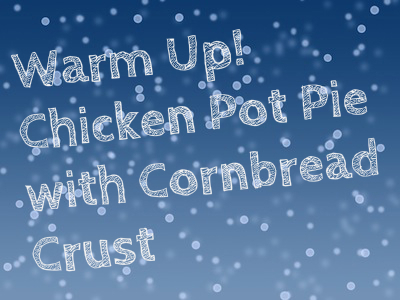 These below freezing temperatures call for some classic comfort food to warm you up from the inside out and homemade chicken pot pie with cornbread crust is just the ticket. If you have a freezer full of Passanante’s Home Food Service foods you probably already have all the ingredients needed to make this simple cold weather favorite. Interested in expanding your horizons with more hormone-free meats, organic produce and irresistible pre-made meals?? Check out our full product listing here. Cook until heated through and thickened. Bake until golden brown; about 22-25 minutes. This entry was posted in Poultry, Recipes and tagged Chicken Pot Pie, Food Delivery Service, Passanante's Home Food Service, Recipe by Passanante's Home Food Service. Bookmark the permalink.